The ancient capitals, sandy beaches, forested mountains and dynamic festivals of our Asia volunteer project sites are beguiling. Tourists venture here for the chance to explore temples, enroll in cooking or massage courses, sit on the beach and trek into the mountains to visit remote hill tribe villages. But our volunteers see a side of Asia that the average visitor misses altogether. Better yet, they enjoy the satisfaction of changing lives in small but significant ways. Our enrollees are involved in a dynamic range of projects, from building homes for single mothers in crisis to working with children afflicted with HIV. In between are projects in orphanages, at hospitals and on elephant camps. In every case, Friends For Asia volunteers are going beyond the routine holiday and traveling with a difference. volunteer Thailand work projects will see you going to work in a range of settings. Thailand is a multifaceted country, and we have set up two bases from which to coordinate service projects in the kingdom. One of these bases is in cosmopolitan Bangkok, a world-class metropolis that attracts upwards of 16 million international visitors each year. But that’s just the beginning. Scratch that shimmering veneer and you’ll find communities in need, under-staffed orphanages and political refugees in transition. Our Thailand volunteer internship staff members are here to help you liaise with organizations and NGOs that are desperately in need of willing workers. We provide you with the support, facilities and connections you’ll need to make a meaningful contribution in this Southeast Asian capital. Our other volunteering base is in Chiang Mai, Thailand’s laid-back northern capital. Gateway to jungle-clad mountains and host to some of the most exciting festivals in the country, Chiang Mai is also a magnet for digital nomads, NGO workers and other expats. Some of our longest-running projects are located here in the north, and our volunteers in Chiang Mai teach English to novice monks in authentic Buddhist temples, help care for elephants in the mountains and even intern with doctors at local private hospitals. Whether based in Bangkok or Chiang Mai, you’ll find that FFA’s projects place you in direct contact with Thai people and the local culture. You’ll learn to navigate the open-air markets, have the opportunity to make merit during the monks’ morning alms round or even enroll in a Thai kickboxing or massage course. .
A tropical paradise with some of the world’s most beautiful beaches, mountains and jungle – Bali is becoming increasingly popular with international tourists and visitors. However, our volunteers experience a lot more than the average backpacker, surfer or package tourist. By volunteering with Friends for Asia in Bali, you’ll have the opportunity to truly immerse yourself in one of the world’s most beautiful and exotic places. And, by doing so, you’ll leave this tropical island with more than a tan, but a true insight into Balinese society, culture, and an experience that you’ll never forget. Whether it be teaching English and working with Balinese teachers at a local school or spending time and giving love to children at a small orphanage, you’ll have the opportunity to make a difference and contribute to Balinese society. Friends for Asia has put together some of the most meaningful and compelling volunteer projects in Bali, Indonesia. We’re based in the capital city of Denpasar, which splits jungle-clad mountains and some of the world’s most beautiful beaches. 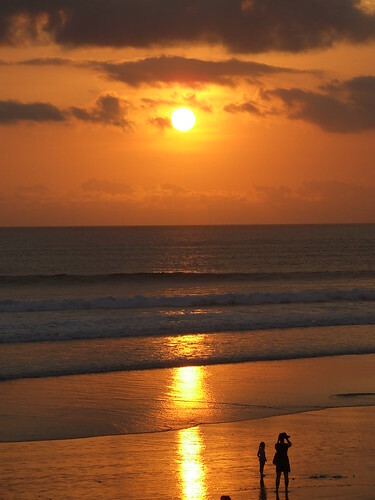 Bali’s vibrant people and culture ensure that evenings and weekends are as enriching as the local volunteer projects. Volunteering in Nepal provides a once-in-a-lifetime experience in a truly amazing country. Our volunteers immerse themselves in Nepal culture amid some of the most stunning scenery in the world while making a real and lasting contribution to the lives of thousands of people. 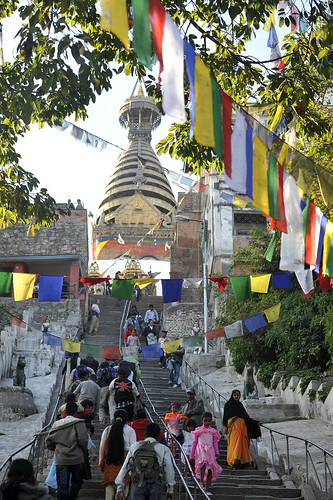 Situated high in the Himalayas between India and Tibet, Nepal has long been as a favorite among travelers and mountaineers. Home to eight of the world’s highest mountains, Nepal’s beauty is legendary. All our Nepal volunteer projects are located in the capital Kathmandu or Chitwan (located about 100 miles west of Kathmandu near the Indian border). Volunteering in Nepal offers an experience like no other. Our volunteers live with Nepali families and make a real and lasting difference to the lives of the country’s most disadvantaged people. Nestled among the peaks of the Himalayas, Nepal’s stunning beauty and unique culture has made it a must-see destination for travelers and trekkers for years. For those looking to get off the tourist trail and see a different view of life in Nepal, Friends for Asia offers a choice of Nepal volunteer opportunities that enrich the lives of volunteers and locals alike. Friends for Asia’s Nepal volunteers find themselves in all kinds of unique situations and settings. Working with disadvantaged women on the streets of Kathmandu, taking care of kids a Buddhist temple or helping to build schools in the Nepal countryside are just some of the options available. All volunteers stay with Nepali host families and experience the culture, traditions and food of Nepal first-hand. Vietnam provides the perfect mix for anyone considering a stint as a volunteer – beautiful scenery, great food, a rich culture and wonderful people. But more important than any of these attractions is the fact that this is a country that really needs the help of Western volunteers. A sad and war-torn past still haunts this amazing country and poverty and social exclusion are rife. Volunteering in Vietnam can help change all that. Our projects in Hanoi bring our volunteers into daily contact with some of Vietnam’s most disadvantaged people. In hospitals, orphanages and care centers around the city, our volunteers make a real and lasting difference.